RT’s Nadezhda Kevorkova, who is in the thick of events on Tahrir Square in Cairo, has witnessed personally that decades of Hosni Mubarak’s regime have left Egyptians no other choice but to strive for his resignation at any cost. 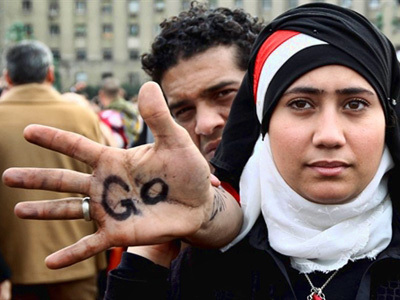 ­On Tuesday night and Wednesday morning tens of thousands of protesters in Cairo violated the curfew, but showed that they were not the source of danger. 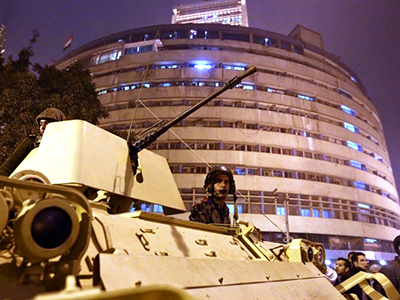 The curfew in Cairo is from 3pm until 8am. People and cars have seven hours a day to move around. 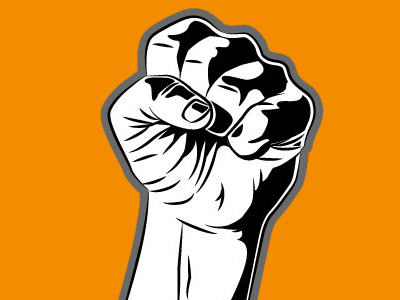 I left Tahrir Square at 5pm and decided to return at 8. Hundreds of people sat on the lawn, eating. Some were sleeping, even though it was starting to get cold. 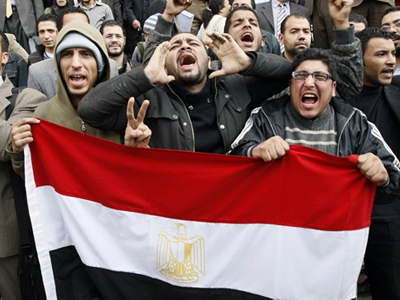 Boys had climbed up street lamp posts and sat there yelling curses at Mubarak. A big screen showed video footage from the afternoon demonstration. It had already been announced that all members of the opposition committee were not going to engage in any negotiations neither with Mubarak, nor his people. 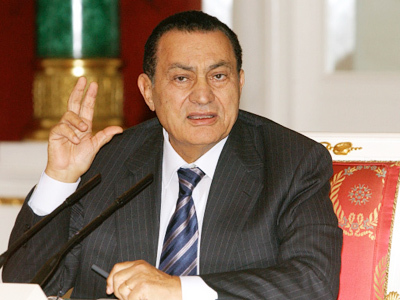 Mubarak himself announced on February 1st that he was not going to step down before the elections in September. 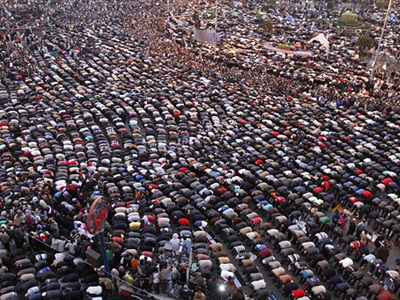 People at Tahrir Square were sure they had won. They videotaped each other with their phones and cameras and rejoiced in the fact that so many people showed their disobedience walking around the city after curfew. The only thing that the army could do was to stop the few cars that dared to drive around the city. I start talking to a couple of educated people standing on the bridge: an older professor and his friend, also a teacher. We are standing next to two Abrams tanks and three soldiers guarding them. The two men don’t expect anything from the army. We finished our conversation, and I returned to my colleagues at the hotel, because I had no energy left and could no longer walk around Cairo. Many journalists had formed these traveling gypsy groups, setting camp wherever curfew found them. Our hotel is the only one in the city that doesn’t close doors after curfew. The rest of them sealed their front entrances and first floor windows with metal boards and turned into fortresses. The same guard opened the door, “What can you tell about the demonstration?” I was hoping he would say something in support of the current regime. “My father got married, got old and died, and Mubarak was in power all this time. I was born, and I guess Mubarak will still be in power when I die. Since we were children we have been told what to think, do, and whom to elect. People are fed up. 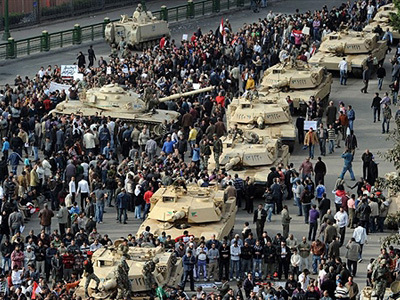 Why does Egypt listen to the US and Israel in everything and why are we told that this is the right thing to do? America has seen five presidents in thirty years, and we still have the same one”. 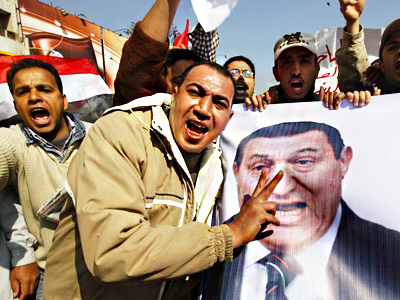 All night long TV stations were working to glorify Mubarak. They showed films about young Hosni’s life and works. 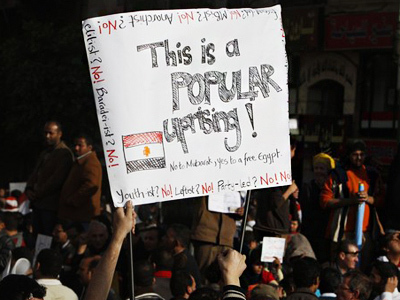 After old footage there were live broadcasts – people called Mubarak father of the nation and expressed their disagreement with what was going on at Tahrir Square.